That’s Boris Diaw Working Hard for a Rebound! San Antonio Spurs’ Boris Diaw (33) crashes into Philadelphia 76ers’ Evan Turner (12) as he reaches for a rebound during the first quarter of an NBA basketball game, Sunday, March 25, 2012, in San Antonio. 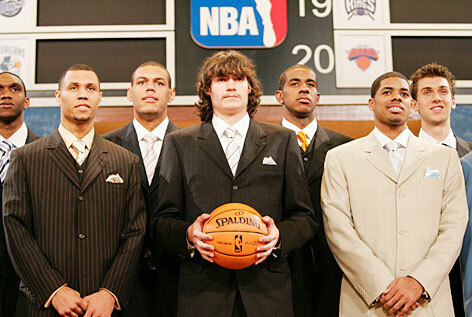 76ers’ Nikola Vucevic is at left. Although the Spurs were short-handed against the 76ers, the team started Matt Bonner ahead of Diaw. With a top-tier organization like the Spurs, he’s not asked to do all that much and that’s just fine by him. Really, I think this is a great situation for Boris. I can’t help but admit that I liked him, but just couldn’t stand seeing him on the Bobcats this season. Perhaps, the Bobcats missed a window of opportunity by not shipping Boris off early in the season. It would have been smart to have received at least something in return for his expiring contract. Maybe they were working at it and nothing panned out. As Cats fans, we should be thankful that he wasn’t sent to Dallas in exchange for a ridiculously overpaid benchwarmer (via Matt Carroll/Gana Diop/Eduardo Najera). The Bobcats are back and here’s a sentence that will probably never be written again. It’s the end of December and the Charlotte Bobcats haven’t lost a game this season. Yep, the Cats took care of of the visiting Milwaukee Bucks last night in their home opener and now stand undefeated. We can’t count on too many wins this year, so let’s savor this one. The Bobcats are in a really awkward stage right now. They have a bunch of young guys that may or may not be professional basketball players. None are stars. Yet, those of us that tuned in or attended their first game of the 2011 season saw an energetic bunch overtake a much more talented and experienced group of players. It was great to read how Coach Paul Silas was so casual with the press before the game, letting them know that “Stephen Jackson is going to try to kill us…” Silas had an inexperienced roster that was supposed to face the likes of Brandon Jennings, Andrew Bogut, and Stephen Jackson on opening night. It’s clear that the Bucks are probably going to be pretty good this year. They may not be a contender, but they’ll make the Playoffs. They’ll likely advance into the second-round. Surely, Scott Skiles will get this group in order and they’ll operate like a well-tuned machine. Luckily, the Bobcats caught them before the machine could get running. Kemba Walker could contend for Rookie of the Year. He’s going to be good. Can he be great? Byron Mullens knocked down a couple of outside shots. What can he do in the paint? DJ Augustin was playing like a real point guard. Nice to see his progress continue under Silas. Gana Diop found a way to contribute – or Silas found a way to make him somewhat useful. Boris Diaw is going to do a lot to help the team and that might help him land a big contract this summer. Nice touch by the club to find courtside seats for Cam Newton (the most popular guy in town). Gerald Henderson looks healthy and ready to be a big part of the team. Corey Maggete isn’t so bad, after all. I might not rush out to buy his jersey, but he’s alright. POLL : How Many Bobcat Wins This Season? A place where franchises go to die: Not good enough to be good and not bad enough to get good. Bobcats owner Michael Jordan understood this more so than any other when he made the controversial Gerald Wallace trade last month. Good isn’t good enough and if you want to get better, sometimes you gotta get a little worse. One of the worst things you can do in this league, I think is be a middle-of-the-road team. After the team traded Gerald Wallace, I think there’s a lot of parallels (with Cho’s previous gig in Seattle/OKC). We got some cap room coming up, some assets and picks. So without further ado, let’s get to some good old fashion rosterbation, Southern Style! Before we head out to the supermarket, we should take a look in the cupboard. As badly as the Bobcats finished the season, the team does have a few assets. Has clearly shown that he can be a top 20 starting PG in the league (although our own @BaselineDrE insists that Earl Boykins would destroy him in a PER contest). D.J. can shoot and has figured out how to score from in close. Perhaps no player currently in the league benefited from J.J. Barea’s Playoff Explosion more than Augustin. D.J. has more upside, is more versatile and stronger. Could be headed for a breakout season and newly crowned Bobcats GM Rich Cho repeatedly brought his name up during last week’s press conference – the team seems committed to him. Another couple of positives: He proved that he could shoot his way out of a slump and is still on that sweet rookie deal. Volatile and getting a bit long in the tooth, Jackson is a former champ and the Bobcats’ best player. He’s the only guy who can consistently create his own shot and when he’s on, can single-handily carry the team to a victory. Showed up at a team workout last month twenty pounds lighter and in great shape. Coach Silas intimated that at this weight JAX could play another 4-5 seasons. His contract is probably untradeable until at least the summer of 2012 so look for JAX to remain in his role with the team next season. UPDATE: AP’s @mikecranston1 announced that other teams have been inquiring about Jackson’s availability so there could be a scenario in which the Bobcats start next season without one of the League’s most under-rated two way players. Needs to prove that he can stay healthy and stay focused but when he’s in physical and mental shape can really change the game from a defensive perspective. Solid rebounder and excellent shot blocker who has a nice mid-range jumper. 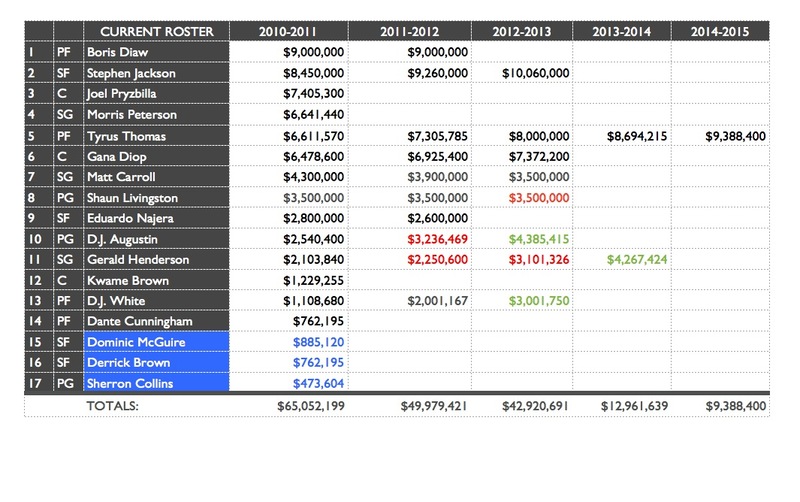 Bobcats have invested a ton of cash hoping the Tyrus experiment works out. Best case scenario: Starting Power Forward for the next five seasons. Worst case scenario: Severely overpaid role player. Very good defensive guard. Very athletic. Shown promise as a cutter but jump shot is still erratic. Henderson is another unknown. May one day become a great long-ball shooter but not there yet. Finished the season on an absolute tear, going for nearly 15ppg in March and April while shooting nearly 46% from the floor just over 34 minutes a game. UPDATE: Had hip surgery in early May to repair a congenital flaw that led to chronic knee pain. Brass hopes he’s back 100% by the start of training camp. Three youngish rotation players who have shown flashes of potential. White seems to have the most upside and is still on his rookie deal. Livingston has managed to carve out a place in the league after destroying his knee a few years ago. Cunningham showed flashes as a full-time three (recording possibly the team highlight of the year by smacking away a KG gimme at the rim) but was busted for possession of the chronic after the season and has yet to receive his $1 million tender from the team. Total it up and you have seven players who’ll most likely be suiting up for the Bobcats next season. That’s half a roster. Combine them with two first round draft picks next week and the CAP CRUNCHERS (Gana Diop, Matt Carroll, Eddie Najera) and you’re down to just two roster spots available to improve the team. A pleasantly mediocre surprise, Kwame Brown will be an unrestricted free agent come July and the team will need to make a major upgrade if it wants to compete. Gana Diop is currently the only center on the roster and he was bad before the season ending achilles injury. With Diop not likely to see action until at least next December, the Cats will most likely have to add size in Thursday’s Draft (see below) and hope Kwame gives them a bit of a hometown discount once FA starts after the new CBA. Augustin, Jackson and (if he develops a jumper) Henderson can handle most of the scoring as starters but the team lacks any sort of big time scoring presence from the bench. The Bobcats will need to find someone capable of taking off some of the scoring load. Coach Silas has been very vocal about his team’s lack of three point shooting and there are some players in the middle of the draft who could fill that need. Some veteran help might come relatively cheap in the way of Delonte West, Anthony Parker or Mike Dunleavy should Cho feel the need to stock up. Either through the draft or through crafty trades, the Bobcats will need to find a way to bring in a guy who’ll move the turnstiles and put down game-winning buckets. 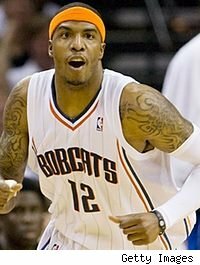 This need won’t likely be met during the draft or in free agency this year but with Diaw and Najera coming off the books next summer and with Jackson transitioning into an expiring year, the Bobcats could make some serious noise in the vaunted summer FA class of 2012 (Chris Paul, Deron Williams, Dwight Howard). Just a few days away and the Bobcats sit pretty with picks number 9 and 19 in a muddy first round. It’s gonna be a wing and a big man. Can’t say in what order but looking at the options available to the team at number nine and the dearth of quality starting fives in the league my gut tells me it’s going to be Southern Cal’s Nikola Vucevic first and whichever wing is available around pick nineteen next. This would be high for Vucevic, who wasn’t even a first round lock at the end of the college season, but after his outstanding workouts around the league and after surveying the competition I think Bobcats management will pull the trigger simply because Nikola represents the best value. Think of it this way: At 7ft, 260 and with three years of NCAA experience Vucevic has the body to come in and play right away. Between his soft touch around the hoop and a nice collegiate three point jumper, the guy would immediately be the most offensively potent center in team history (well, at least since Primoz Brezec). He plays a position which traditionally is well over-paid so by drafting a rookie the team could lock a potential starter into a four year rookie scale deal. Killer timing for next year’s free agency bonanza. Defensively, Vucevic’s slow-footedness is a concern but he’s a solid rebounder and would be a great fit next to Tyrus Thomas. COMPS: Mehmet Okhur, Roy Hibbert, Brook Lopez. At pick nineteen, Master Cho could then look at the abundant number of wing players (Jordan Hamilton, Marshon Brooks, Chris Singleton, Tobias Harris, Darius Morris) still on the board. He could roll the dice and take a player like Boston College’s Reggie Jackson. With the Heat reportedly high on the Rondo-clone, the Cats could screw over a division rival while adding another dimension to their backcourt. The IDEAL scenario, of course, would be a second-tier wing player like Kawhi Leonard dropping to the Bobcats at #9 and then maneuvering up from #19 to select Vucevic before the Rockets can nab him at #14. I just don’t see how this is a possibility though if Houston is in fact ready to Nikola with the last pick in the Lottery. No one knows what the new CBA will look like next season (if there is one) but I’d be willing to bet that the Bobcats’ situation won’t change much. Once all of the expirings come off, the team will sit at around $49 million in salaries, around $10 million south of this year’s cap. Add in the two first rounders along with (possibly) re-upping Dante Cunningham, the team should be at around $54 million. Obviously, the remaining $6 million wouldn’t be enough to bring in a big-name star (even if there was one in a weak FA class) but the extra wiggle room may help them pull off a deal or two IF the team is lucky enough to import a decent center from another team. Made big strides this season but the high-flying athlete probably doesn’t make much sense to pair with a similar player in Tyrus Thomas. Clippers also seem intent on keeping him. Will likely command around $10 million+/per on the open market. Gasol is a lower rent version of his All-Star brother but is only 26 and could develop into top tier center himself given the right circumstances. He’s a restricted and the Griz have stated that they’ll re-sign him but given the historical ownership thriftiness and the fact that Z-Bo’s deal is also up makes me think that Gasol could be had with a big poison-pill offer sheet. To make a move for Gasol, the Bobcats would likely have to find a taker for Boris Diaw’s $9 million expiring contract first (see TRADE section). Performed adequately for the team as a starter this season and could be brought back as a backup if the price is right. d.) Other Potentially Interesting FAs. Big Baby Davis, Nene (ETO), Shane Battier, Carl Landry (who they’ve tried to sign before), Sam Dalembert, Craig Smith, Brandon Wright. Boris Diaw, Boris Diaw, Boris Diaw. Did I mention Boris Diaw? I just can’t see any way the Frenchman stays on the Bobcat roster come training camp. Only on the books for a final season, in a contract year (so will likely be motivated – see Chandler, Tyson) and has proven that when he gives a crap can be a game-changing presence in the lineup. All these factors combined with the Coach’s obvious dissatisfaction in Diaw’s inconsistent performances will likely land Boris in another uniform next season. a.) Boris Diaw to Toronto for Leandro Barbosa + 33rd Selection. Colangelo wanted him last summer and they need size. Both players on expirings, Bobcats trade big for small but also shave another $1.4 million off the books to go after a FA. ‘Cats get the bench scoring they’ve so desperately needed and another high second rounder for an international draft ‘n stash. UPDATE: With the Raps hiring of “D”wayne Casey, odds are that Toronto will be actually playing a little defense this season, making this trade more likely if the ‘Cats wanted to make it. b.) Boris Diaw to LAClippers for Chris Kaman. Again, both players on expirings. Clips get the third big to rotate with Griffin and Jordan. Bobcats take on an additional $3.2 million and risk Kaman’s recent injury history but if it works out, then they have a high-scoring starting center for the first time in franchise history. UPDATE: With rumors flying around a possible Iggy for Kaman swap, this offer looks rather paltry. Would the Clips be in the market for a Stephen Jackson for Kaman trade? c.) Boris Diaw + the #19 to TeamX for cap space. In this deal, the ‘Cats could find a team with cap space in need of a versatile big and compensate them with either this year’s late first rounder or Portland’s pick in 2013. The ‘Cats would then have around $18 million to pursue a free agent target like Marc Gasol. UPDATE: This seems very unlikely. Whenever the ’11-’12 NBA season starts, the Bobcats (barring major injury) will look quite a lot better than currently configured. Not bad. Depending on the development of the youngsters, the team could even compete for one of the final seeds in the East. But I don’t think that’s Rich Cho’s plan. Again, in order to get better, some times you have to get worse. It wouldn’t surprise me to see the team bottom out by trading both Diaw and Jackson by the trade deadline and finishing it up with a bunch of 25 and younger types logging major minutes. That is the OKC model anyway. A high lottery pick in 2012 and a boatload of cap space could then launch the Charlotte basketball franchise into the stratosphere. The Bobcats Season – Over and Out. This past season for the Charlotte Bobcats served up an entertaining mixture of speculation, anticipation, disappointment, surprise, frustration, and a general sense of curiosity. Heading into it, the team had made a deal to unload the financial burden of Tyson Chandler and had no Draft selections to boost their roster. The team’s training camp began with real questions around DJ Augustin’s ability to lead the team as a starter and the growth of Gerald Henderson and Derrick Brown in their second year in the NBA. It was assumed that Tyrus Thomas would build upon his success from a previous late-season run after arriving in Charlotte, and most thought he would eventually replace Boris Diaw as the team’s starting power forward. The Bobcats looked to have their strongest players, Gerald Wallace and Stephen Jackson, on the wings and aimed to make it through the year with a cobbled assortment of players at the center position. That was all pre-season talk, though. Larry Brown was trusted to take the team further than the quick sweep we witnessed in their first Playoff appearance. If Larry saw a roster need that had to be filled in order to reach the post-season, it seemed only logical that the organization would find a way to give him what he demanded. Eventually, that logic evaporated as the team seemed to lose games and lose interest in running Larry’s system. Interestingly, the only roster acquisitions that seemed to satisfy Brown were the minor free agent signings of Dominic McGuire (D-Mac) and Shaun Livingston. Otherwise, the Hall of Fame coach was expected to plug in the likes of Matt Carroll, Kwame Brown, Eduardo Najera, and Sherron Collins to forge a better on-court product. Early on in the season, it seemed that the Bobcats were just taking a little longer to “mesh” than most other squads. Those following the team could have argued that the level of talent on the roster was deeper than ever before. With so many middle-tier players on the payroll, it appeared that the front office had planned to either make due with a roster below the salary cap or leave some flexibility to make a trade to improve the team. As the Cats stumbled in the standings, speculation over the next move certainly followed. Coach Brown had set a pattern in place since his arrival. If he didn’t like what was happening with the team’s play, he would find a way to shake up the roster. Fans knew this and it was expected that a roster move was sure to happen. Surprisingly, it wasn’t Boris Diaw, Stephen Jackson, or DJ Augustin that were shipped out. The organization decided to send Larry Brown out of town. While it was easy to support Brown when the team had experienced an increasing level of success, the Bobcats management seemed to catch on to the “Next Town Brown” template. With the team struggling and playing less and less entertaining basketball by the week, it only felt naturally to look to the future. Raising the question of “How does this team get better” probably shook GM Rod Higgins to face the tough truth that the Bobcats were financially frozen and their on-court product was on the decline. Perhaps, the team reserved a bit of blame for Larry Brown. Overall, it seemed that the team’s performance had slid far too much and improvement wasn’t going to be delivered by the old, griping, and disheartening coach. The Cats had no money to really improve the team, and needed to begin to develop their young guys – players that Larry Brown had glued to the bench. The arrival of Paul Silas brought an equal dose of curiosity and excitement to the team. After recurring blow-out losses under Brown, the Bobcats quickened the pace and let DJ Augustin play to his strengths. Surely, Michael Jordan had to have felt some comfort in his decision to switch coaches. Not only had the team become better and more entertaining on court, but the younger talent on the roster had begun to show improvement and playing time under Coach Silas. The improved play of DJ Augustin was astounding, and it just seemed to be a bit confusing as to why no one had seen this from the young guard until Brown’s departure. As the Bobcats had crossed the mid-point of the season, they were finding a way to improve their record despite their ailing big men. Gana Diop was shelved for the season with a tough achilles injury, and Nazr Mohammed seemed to have run out of luck with several nagging injuries. The All-Star break came and went for the team, as the club had no participates (Rufus doesn’t count) in the Association’s annual celebration of peak performers. So, most of the club returned from the short vacation to talk big about making a run at the Playoffs. Actually, that didn’t seem so outlandish at the time. Despite the 9-19 hole that they had dug for themselves to begin the year, Charlotte was sitting around the 8th spot in the Eastern Conference standings. With plenty of games to go, it was expected that the club could rebound and save their season. Heck, some thought the Cats might even try to nab someone to help make that push before the trade deadline. Well, things really went in the opposite direction. Once again, Michael Jordan’s Bobcats were active at the league’s trade deadline. Though, this time around the team wasn’t looking to acquire talent. So, what would you have thought if someone had told you back in September that during the 2010-2011 season the Bobcats would fire the best head coach that the franchise had ever seen, trade away the All-Star that fans loved, and still close the season with Stephen Jackson on the roster? Well, it played out just about like you would have thought. The team was shaken apart, as to leave Larry Brown’s “vision” in the dust and adjust for the future. Gerald Wallace was about as heartbroken about being traded to Portland as his Charlotte fans were. And, good ol’ Cap’n Jack made it through the season with a load of technical fouls, showed his clutch abilities throughout it all, and his body fell apart in late March after carrying the team for most of the year. Oh, and the guys that were expected to help Stephen Jackson never did come through as the Cats surrendered to the Draft Lottery by April. Tyrus Thomas was unable to return from his knee surgery and fellow power forward Boris Diaw brought it once in every four or five games. The team limped through the end of their schedule with Kwame Brown as the only true center. Oh, and what would you have thought back in the Fall if someone told you that the Bobcats would be starting Kwame Brown? Surprisingly, he wasn’t as bad as you would have thought. Let’s not consider him the franchise center, but he was valuable for the team on both sides of the floor. So, the Bobcats headed down the last weeks of the season with a fading hope of another Playoff appearance. Though, what may have been more important for the team was the manner in which their younger and newer players seized the opportunity in the playing time given to them by Paul Silas. During the final games of the season, Gerald Henderson was often the team’s primary offensive option. He showed his strengths, while learning to become an efficient guard. Clearly, young Gerald had big shoes to fill with the departure of “Crash” Gerald. Luckily, the team didn’t see him recoil. Looking forward, Charlotte has a lot of decisions in front of them. Clearly, the organization has made a concerted effort to enter the “rebuilding” stage. The off-season should provide the team with the ability to improve as they hold a load of salary cap flexibility, young talent, and Draft selections. Still, it’s apparent that the team has holes, and will work to fill them as they build. Next season’s rookies can’t be expected to carry the team, and the free agent class isn’t all that “star-studded” this summer. With Jordan’s efforts to free up his options, he’ll want to make the most of each of his assets whether it be Draft picks, cap room, or promising players on the Bobcats roster. The 2011-12 season could just serve as a stepping stone for the club as they continue to develop, grow, and wait for the right additions via free agency. So, a short season due to a lock-out might just be exactly what Jordan and Co. are forecasting. If the rebuilding Cats are going to be really bad next year, let’s hope it’s only for 40 games or so. Ah, the Eastern Conference. ‘Tis a place where a bad team can go 2-9 in a late season slump and still be only a game or two out of the Playoffs. The current Race for Eight bears more resemblance to peewee football hot potato than a professional sports exercise. Someone please just win some games and put us all out of our misery. Which brings us to the titular “Nottery,” a place where franchises go to die: Not good enough to be good and not bad enough to get good. Bobcats owner Michael Jordan understood this more so than any other when he made the controversial Gerald Wallace trade last month. Good isn’t good enough and if you want to get better, sometimes you gotta get a little worse. Before we head out to the supermarket, we should take a look in the cupboard. As poor as the Bobcats have been playing recently, the team does have a few assets. Has clearly shown that he can be a top 15-20 starting PG in the league. Can shoot and has figured out how to score from in close. Defense isn’t as big of an issue as current rules have made it nearly impossible to defend the position. Proved that he could shoot his way out of a slump. Still on his rookie deal. Volatile and playing too many minutes for his age, Jackson is nonetheless the Bobcats’ best player. He’s the only guy who can consistently create his own shot and when he’s on, can single-handily carry the team to a victory. His contract is probably untradeable until at least the summer of 2012 so look for JAX to remain in his role with the team next season. Very good defensive guard. Very athletic. Shown promise as a cutter but jump shot is still erratic. Henderson is another unknown. He’ll probably never be a great long ball threat but if he can develop a consistent mid-to-long range shot could become a very good player. Three youngish rotation players who have shown flashes of potential. White seems to have the most upside and is still on his rookie deal. Livingston has managed to carve out a place in the league after destroying his knee a few years ago. Cunningham should keep improving now that he’s playing the three position full-time. Total it up and you have seven players who’ll most likely be suiting up for the Bobcats next season. That’s half a roster. Combine them with two first round draft picks in June and the CAP CRUNCHERS (Gana Diop, Matt Carroll, Eddie Najera) and you’re down to just two roster spots available to improve the team. As pleasantly mediocre as Kwame Brown has been, he’s an unrestricted free agent come July and the team will need to make a major upgrade if it wants to compete. Gana Diop is currently the only center on the roster and he was bad before the season ending achilles injury. Augustin, Jackson and (if he develops a jumper) Henderson can handle most of the scoring as starters but the team lacks any sort of big time scoring presence from the bench. The Bobcats will need to find someone capable of taking off some of the scoring load. Charlotte will most likely pick around #10 and #18 in the draft barring a improbable Bobcat Playoff berth, lottery miracle or a late-season collapse by New Orleans. The ‘Cats will should have the opportunity to nab players like Kentucky’s Terrence Jones (Iggy-type SF), John Henson (long defensive SF), Texas forwards Tristan Thompson (poor-man’s Elton Brand) and Jordan Hamilton (O.J. Mayo, Jr. check that, DrE is saying Rashard Lewis or Danny Granger, Jr.). Kentucky point Brandon Knight (Jordan Crawford-like combo guard) and Moorehead State’s Kenneth Faried (Reggie Evans with upside) should also be on the board. It’s by all accounts a weak draft and the ‘Cats would be better off not drafting for need. The center crop is thin but fortunately there are enough solid SF candidates who could be brought in to eventually replace Stephen Jackson a year or two down the road. No one knows what the new CBA will look like next season (if there is one) but I’d be willing to bet that the Bobcats’ situation won’t change much. Once all of the expirings come off, the team will sit at around $49 million in salaries, around $10 million south of this year’s cap. Add in the two first rounders along with re-upping Dante Cunningham and the team should be at around $54 million. Will likely command around $10 million/per on the open market. Gasol is a lower rent version of his All-Star brother but is only 26 and could develop into top tier center himself given the right circumstances. He’s a restricted and the Griz have stated that they’ll re-sign him but given the historical ownership thriftiness and the fact that Z-Bo’s deal is also up makes me think that Gasol could be had with a big poison-pill offer sheet. To make a move for Gasol, the Bobcats would likely have to find a taker for Boris Diaw’s $9 million expiring contract first (see TRADE section). a.) Boris Diaw to Toronto for Leandro Barbosa. Colangelo wanted him last summer and they need size. Both players on expirings, Bobcats trade big for small but also shave another $1.4 million off the books to go after a FA. ‘Cats get the bench scoring they’ve so desperately needed. c.) Boris Diaw + Future First Rounder to TeamX for cap space. The team would still be well under the $60 million cap and have enough flexibility the following summer to make a major splash in the vaunted Free Agent summer of 2012. No need to fret, Bobcats fans. I think MJ has a plan and if he follows it correctly, the team may well be in contention sooner rather than never. 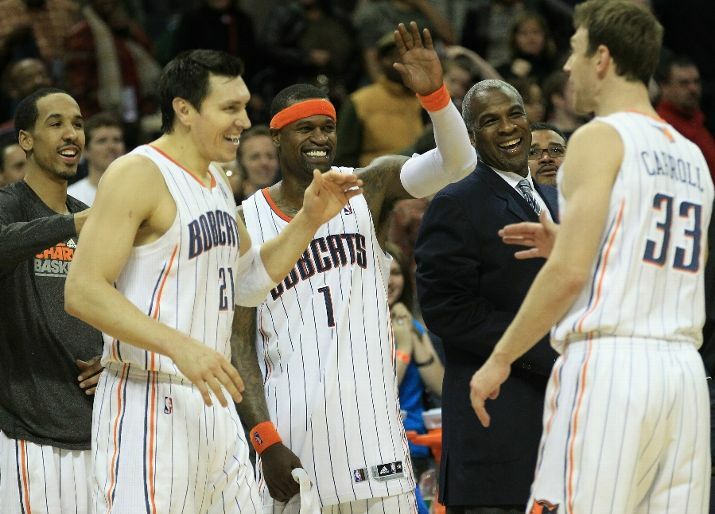 Despite only dressing 8 players due to Thursday’s trades, the Charlotte Bobcats defeated the Sacramento Kings 110-98 at the Cable Box on Friday night. Stephen Jackson settled down after an early technical foul and led the Cats with 30 points on 11-19 FG. The Kings were without their best player, Tyreke Evans (plantar fasciitis), and aren’t that good with him, so this is nothing to get too excited about. Nonetheless, there were some encouraging signs. Obviously, the fact that the Cats were able to win so shorthanded is a story. After the expected starting five of DJ, Gerald Henderson, Jack, Diaw and Kwame Brown, the Cats could only call on Shaun Livingston, Matt Carroll and Eduardo Najera off the bench. Winning any NBA game with just those 8 guys is noteworthy no matter the opponent. But most importantly, the guys that need to step up did so — at least for one night. For better or worse, this is Jack’s team the rest of the season. And under stressful circumstances, made even more so by the presence of his nemesis, referee Eli Roe, you wouldn’t have been blamed for expecting the worst of Jackson going into the game. Like clockwork, Roe called Jackson for a charge just minutes into the game. Jack was immediately rattled, drew a tech (from Derrick Stafford, to be fair), and was benched. But Jack was able to gather himself, avoid any further trouble with the referees, and pour in his 30. DJ Augustin played his second straight solid game coming out of the All-Star break, torching Beno Udrih for 23 points on 9-11 shooting. And Gerald Henderson dropped 21 points (8-17 FG, 5-6 FT) to continue his strong February. On the other hand, Boris Diaw was pretty much a no-show. Knowing Boris, he’ll probably give pretty much the same effort tomorrow night, but end up with a near-triple-double. I appreciate what Eduardo Najera has brought to the table in Tyrus Thomas’ absence. On some nights, his toughness and defense have been a godsend to Paul Silas. But this better be the first and only time I see him shoot five three-pointers in a game. DeMarcus Cousins was fun. Where to start? 13 points, 10 rebounds and 7 turnovers. Seven turnovers? But the talent is obvious, and in such a huge body. If the Kings could get an elite young point guard (Kyrie Irving? ), move Evans to the 2, and have those three figure it out together — watch out. And then there was the random benching to start the second half. But my favorite is Cousins’ array of scowls. Seriously, he had this one in the first half when a call didn’t go his way that showed elite, freakish expressionism. I’m thinking Cousins is going to be the first rookie since Rashad McCants to make it to my 1st Team All-Sourpuss squad. Hopefully he’ll get to spend some time with Stephen Jackson at the photo shoot, because I think those two are kindred spirits. So I see that Indiana lost to the blown-up Jazz, which means the Bobcats are just a half-game out of the 8th playoff spot. You know, it’s not as if the Pacers are some juggernaut, or some veteran-laden steady team. They’re young, with an interim coach, and they rely pretty heavily on Danny Granger. I’m just saying it’s not impossible for the Cats to overtake them, especially with Tyrus Thomas getting ready to return. Stranger things have happened. The Cats will practice tomorrow, and expect to have Joel Pryzbilla, Dante Cunningham and DJ White there to get acclimated. Next game is Sunday evening, 6PM ET against the Magic in Orlando. Gerald Wallace Is Gone, Who’s To Blame? Three months into my self-imposed NBA exile and the Bobcats had to go and blow up the team. I just couldn’t resist. It’s time for a State of the Roster. PART 1 – WHO’S TO BLAME? To say that fan sentiment over the trade has skewed negative would be an understatement. Gerald Wallace, the player we all watched grow from an expansion draft castoff to best-kept-NBA-secret to All-Star has been gifted to Portland for what amounts to cap space and a couple of mid first round picks. On the surface this seems both cheap and defeatist. The Bobcats currently sit just a few games outside of the Eastern Conference’s top eight while resting comfortably below the League’s luxury tax line. So who’s to blame for this sudden and seemingly irrational transaction? The former coach and (by his estimates) de facto GM kvetched incessantly until ownership added millions in dead weight veteran contracts then griped again when he couldn’t add any more. The moves overwhelmed a cash strapped organization as they found themselves well over the luxury tax line last summer. Owner Michael Jordan isn’t stupid, he looked at the past few seasons and came away with the conclusion that he’d most likely traded five plus years of fielding competitive teams for a one and done with the Orlando Magic. 2. Gana Diop & Matt Carroll. No, these two weren’t involved in a clandestine operation to overthrow the co-captain; at least not directly. Jordan made a major mistake when he signed Carroll to a then six-year $27 million deal. MJ immediately realized the folly so decided to compound the problem by trading Carroll for Gana Diop’s $31 million albatross contract in a Larry Brown inspired transaction back in ’08. In an ironic twist, the trade ended up handcuffing the team to the point where they had to take back Carroll’s contract from Dallas simply to get under the luxury tax this summer (see Dampier, Ericka). The two player’s salaries combined make up what the Bobcats would have owed Wallace over the next two seasons at around $10 million per. Ouch. Pretty simple here. The Bobcats’ two best guys played the same position. JAX isn’t getting any younger and the whipper-snappers playing NBA two guard these days aren’t getting any less athletic. Less obvious is this Dirty Secret: Jackson is the better player, or at least the more indispensable one. More on this later. During the Larry Brown era, the Bobcats gave away first rounders like they were T-Wolves tickets. The team didn’t have a pick in last June’s draft and won’t have a first round selection in a potentially loaded 2012 class. By getting New Orleans’ first rounder in 2011 and Portland’s number one in 2013, the Bobcats will have four picks in the next three first rounds. Given that MJ hasn’t made a turrible pick since ’06, we can at least expect a few solid rotational players to come out of this stash. What do these guys have to do with any of this? All three were All-Star small forwards who rode their elite athleticism to big stats and massive contracts. The cautionary tale of course is that once these guys crept closer to the big three-oh, their games took a major downturn for the worse. 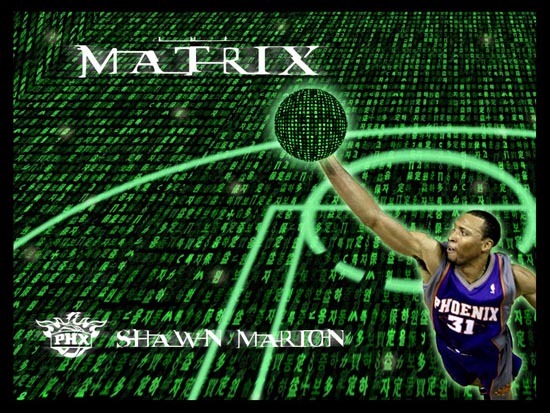 Marion is the oldest and most relevant of the bunch at 32 but hasn’t played like “The Matrix” since “The Matrix” was a cool nickname to have. He’s now a role player on a veteran team. Jordan must have looked at Gerald Wallace’s declining production, his age, the number of major injuries and the $22 million due and decided to gamble before it was too late to get anything of significance in return. Defensive ace Bruce Bowen was ostensibly finished as an NBA player at age 36. Sharpshooting Ray Allen turns the same age in June yet played in last weekend’s All-Star game. Guys who make their name on defense (unless you’re a nimble 7-footer like Dikembe or Theo Ratliff) just don’t last as long which pretty much negates the whole “The Nuggs got way more for Carmelo” argument. As little as I care for Melo’s game or his trade demands, his skill set is much more suited for the long haul. This brings us back to Suspect #3. Efficient, dependable scoring is worth its weight in gold in today’s NBA. Stephen Jackson, despite his flaws, is the only Bobcat currently worth scheming for on either side of the ball. He’s going for around twenty every night in a variety of ways and may even drop 40 on you if he gets hot. Last I checked, the team that scores the most points still wins games and that has never been more true than it is today. It’s only been a month but Henderson has shown enough in his short time as a rotation player to warrant an expansion of the experiment. The other Gerald has looked spectacular at times. His defense against Kobe, Allen and Derrick Rose allowed the Bobcats to notch some wins over the League’s elite. His jump shot has started to fall consistently and by putting up 18, 22 and 15 going into the All-Star Break, Henderson gave management enough confidence to move Wallace while making a sincere run at the postseason. It’s not a bad gamble. Henderson is on a great rookie deal and looks to be at worst a quality starting two guard. If we look at the trade from a cap perspective, we can see that the Bobcats set themselves up for some incredible leverage going in to the offseason. By shaving nearly $10 million from the payroll next year and the year after, Charlotte can now be a major player in free agency or in landing a star player via trade. The team will be around ten million under the cap come June and potentially in the mix for a max guy if they can find a team willing to absorb Boris Diaw’s expiring deal. If MJ strikes out this summer, he’d still be in position the following summer of 2012 to try again. A. They feel that they have enough talent currently in place to challenge Philly, Indy and Milwaukee for one of the East’s bottom seeds. B. At the same time, they are setting themselves up for a potential long-term jump into the top four. C. That they have at least partially learned their lesson when it comes to throwing away future picks and cap space for a few extra wins in the present. Look for the ‘Cats to continue their run under Silas. If Tyrus Thomas returns on schedule and can get in game shape fast, then the Playoff odds go up. Same goes for Gerald Henderson. If he blossoms with the increased playing time and if the ‘Cats can get something out of either Cunningham or White then maybe they sneak into the postseason. Realistically we can only measure the success of this trade once we see what Jordan & Rod Higgins are able to do with the picks and cap flexibility over the next couple of summers. Losing Wallace hurts now but we may look back and see that it’s the best deal MJ ever made. Enjoy the Change Bobcats Fans.